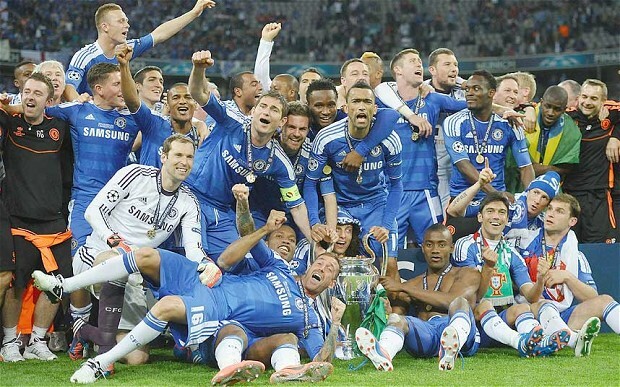 Chelsea’s Champions League triumph – written in the stars? When Roman Abramovich bought Chelsea in July 2003 his main target was to see his side lift the Champions League. After Saturday’s dramatic final in Munich, the Russian billionaire’s dream has finally come true. Many people will say that Chelsea were lucky to win the trophy; Bayern Munich completely dominated this final. The statistics in this case do not lie; the Germans had 35 shots compared to Chelsea’s nine and had 20 corners compared to just one from the west London outfit. This is where Bayern have only themselves to blame for not winning this final. They looked nervous in front of goal, particularly Mario Gomez, who wasted three golden chances in the first half and from those 20 corners they created very little mainly due to the poor delivery from Arjen Robben. Compare this to Chelsea however, whose one corner came in the 88th minute, and Juan Mata’s floated delivery was met by Didier Drogba, who showed great intent to win the ball ahead of the Munich defence. If Chelsea had been beaten then there may well have been questions as to whether Roberto Di Matteo got his tactics right. His decision to start with Ryan Bertrand at left midfield would have been most under the microscope. The Italian trainer clearly did this to try and combat the threat of Robben and Lahm down that wing, but it seemingly backfired when Robben spent much of the first half controlling the game from the middle of the pitch and the opposite wing. 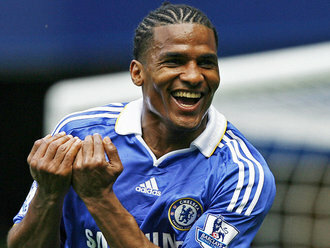 Chelsea looked far better balanced when Malouda came on for Bertrand as a more natural left-sided midfielder. The biggest tactical mistake of the night though may have come from Bayern boss Jupp Heynckes. As soon as Thomas Muller had put Bayern ahead in the 83rd minute, the Bundesliga team’s coach took him off and replaced him with the more defensive Daniel Van Buyten. This caused a major reshuffle for Bayern with the breaking up of Boateng and Tymoshchuk at centre back, who had both dealt well with Drogba, to allow Van Buyten into defence. This invited pressure onto the Bayern defence for the first time in the game and allowed Chelsea more of the ball for the final ten minutes. There is a belief in football that sometimes a team’s name is already destined to be on a trophy before the final outcome has been reached. This was also spoken about when Liverpool won the tournament in 2005. Certainly there were instances along Chelsea’s route to glory that made you believe it was destiny for them to win it. Ashley Cole’s goal line clearance late on against Napoli that prevented them from falling 4-1 behind, the numerous Barcelona chances missed at Stamford Bridge in the semi-final and then missed penalties by two of the biggest names in world football, Messi and Robben, in the semi and the final. 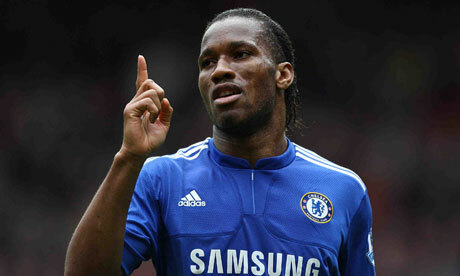 The script of this final was clearly written for Didier Drogba also. In possibly his last game for Chelsea he came up with the stunning header for the equaliser. When Chelsea lost the final in 2008 to Manchester United, Drogba was sent off so was unable to take the decisive fifth penalty in that final which John Terry took and missed. This time though the Ivory Coast international was on the pitch and showed great coolness and composure in front of the Bayern fans to give his team the greatest prize in European club football. What next for these two clubs though? Chelsea still do not have a permanent manager, but Di Matteo could not have done any more to put his name forward. But is he a big enough name and is the style of football that he has used good enough to satisfy Roman Abramovich? As for Bayern, major questions may now be asked of Heynckes. A few months ago they would have been eyeing up three trophies. Dortmund though have blown them away in the league through sheer consistency and then beat them for the fifth time in a row to win the domestic cup in Germany. Add to that losing on Saturday in front of their own fans and the board may decide it’s time for a change in Munich. A win against Bayern Munich in the Champions League final will be vital in deciding who Chelsea will attract when the transfer window reopens, but what does the summer look like for the west London club? For the fans at Stamford Bridge, seeing 34-year-old Didier Drogba leave the club will be devastating, as they saw him lead the Chelsea front-line to victory in the FA Cup final. The Ivorian veteran is still a world-class striker, using his physical strength and experience to get those vital goals needed to win trophies. 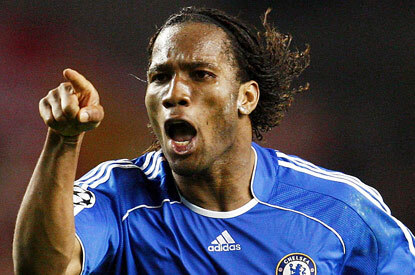 Since joining in 2004 from French side Marseille, Drogba has scored 156 goals for the club and is the highest-scoring foreign player ever to have played for Chelsea. There is no doubt the African target man will be a key part of the Blues’ season-defining game against Bavarian giants Bayern Munich, but after refusing to sign a new deal at the club, his future is doubtful. The French winger has been a great asset for the west London side over the past few years but the 2011-2012 season has seen a rapid decline in playing time and quality for Florent Malouda. With his contract expiring in the summer, a departure from England seems very likely. The 31 year-old has been on the bench for the majority of the campaign, under both Chelsea exile Andre Villas-Boas and interim first coach hero Roberto Di Matteo, but has been particularly of use when resting the first-team before two important Champions League games. If there is one place that Chelsea are lacking, it is deadly wingers – so making space for new blood out wide, will be a priority for Abramovich. 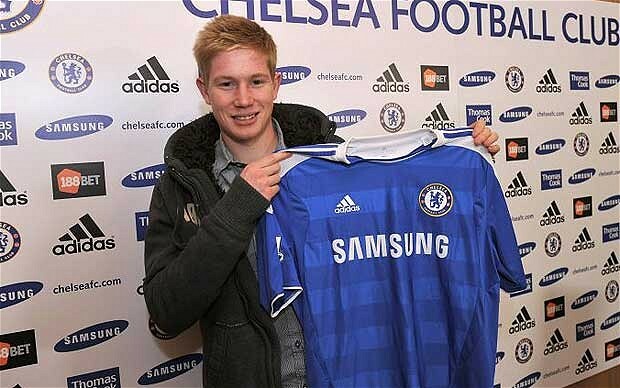 The 20-year-old attacking midfielder looks a bright prospect for Premier League football and after signing from Belgium champions Racing Genk, Chelsea fans are optimistic that De Bruyne will add that vital creativity and wing play that the Blues really need at the moment. The Belgium international plays predominantly on the left of midfield and looks talented and creative, bemusing defenders with his dribbling skills and has a good eye for goal. Nicknamed the German Messi, Marko Marin has suffered a shaky season with German side Werder Bremen, but a £6.5m move to Chelsea could jump-start his career. Much like Belgium counter-part De Bruyne, the 23 year-old German plays predominantly out wide or as an attacking midfielder using his speed, agility, and skill to bring the individual quality that every Premier League side needs. Although scoring few goals for his team, Marin creates chances and has never recorded less than ten assists in a Bundesliga season. Although not as famous as other players linked with a move to Stamford Bridge, Willian is a player of extreme quality and skill. 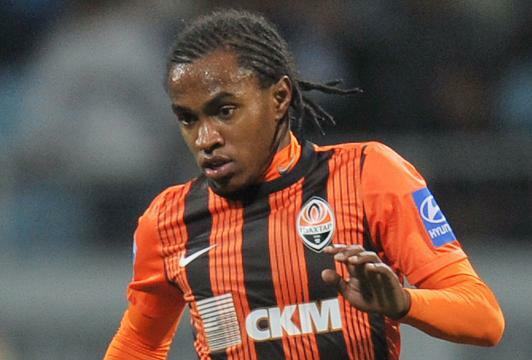 Spending the last five years playing for Ukrainian side, Shakhtar Donetsk, the young Brazilian has come out of obscurity after increasing rumours over a move to the west London club. His dribbling skills are superb and he will hope to form a partnership, if joining Chelsea, with Brazilian comrades Ramires, David Luiz, and youth superstar Lucas Piazon. The Uruguayan hitman has been quite the star for the last number of seasons at the San Paolo, and at the age of only 25 the future looks bright for a player who has shone not only in Italy but also in the Champions League. 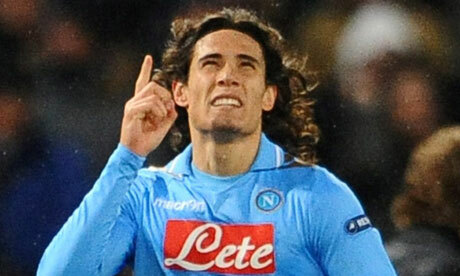 A player who dominates not only in the air but also on the ground, Edinson Cavani could be described as an all-round striker – able to keep the ball, play the ball, and most importantly, score goals. Napoli’s 25 year-old forward could be a perfect replacement for departing Drogba, but whether he would adept to the Premier League is hard to tell. The Chelsea side that was comprehensively beaten 3-1 in San Paolo by Napoli earlier this campaign, Andre Villas-Boas’ last European fixture in charge, looks like a different team to the current crop. Under interim boss Roberto Di Matteo the Blues have only lost one game in their last 17, with the playing squad seemingly rejuvenated under the former Chelsea midfielder. Despite being favourites, Bayern will have to work hard to overcome a team in form. With the signing of Marko Marin announced for next term, Chelsea are expected to bring in a host of younger players this summer to inject a fresh feel into their squad. This may well mean the end for a number of the established players that have been the basis of the Stamford Bridge side over the last five years. The likes of Didier Drogba, Florent Malouda and even Frank Lampard may well make an exit from west London at the end of the campaign, making them more motivated to end on a high. Although the Bavarian side’s rearguard has improved since last season, there are still question marks over their central defenders. Jerome Boateng has been used in the middle of the defence despite playing the majority of his football on the flanks, whilst Holger Badstuber is suspended for the game against the Blues. The Premier League side will be aware of this and look to attack the heart of the hosts. Given the unconvincing nature of Bayern’s backline, Didier Drogba will look to use his considerable ability and experience to take full advantage. The Ivory Coast international looks to be one of the players certain to leave Stamford Bridge in the summer, as an expiring contract has not shown any signs of being renewed. The African marksman scored the winner against Barcelona at Stamford Bridge and in the FA Cup final, and will be the west London club’s main attacking weapon in Germany. Chelsea and Tottenham meet in the second FA Cup semi-final at Wembley on Sunday, with the London rivals’ fate this season tied in with that of their opponent. With one or the other set to miss out on a top four finish in the Premier League also, progression in the cup takes additional importance this season. Chelsea have improved since the axing of Andre Villas Boas, with club man Roberto Di Matteo instilling confidence and a belief in the side. The Blues have made strides in the league to give them a chance of making the Champions League qualification places, and a memorable comeback against Napoli in Europe has set up a mouth-watering clash with Barcelona. The main difference in Di Matteo’s approach is the respect and responsibility handed back to the club’s senior players. With the likes of Frank Lampard, Didier Drogba, Florent Malouda and Ashley Cole feeling devalued by the Portuguese coach’s squad rotation system, the Italian has made the old guard feel more valued, and this has paid off for him. The Stamford Bridge club have the distraction of a Champions League date with the Spanish giants upcoming, and although the clash with Pep Guardiola’s men will be in the back of their minds, Spurs could capitalise on any lack of concentration. Chelsea have traditionally had something of a hex over their London neighbours, but the 0-0 draw at Stamford Bridge in the league a couple of weeks ago, in which Harry Redknapp’s men dominated, will have given the White Hart Lane club confidence. Tottenham have come unstuck slightly over the last couple of months, with an excellent start being counteracted by a poor second half to the season. Defeat against Arsenal, Manchester United and Everton could almost be understood given the difficulty of the opponent, but a loss to Norwich and draw with Stoke at home have the White Hart Lane faithful nervous. Ahead of the game at Wembley, Spurs are still in fourth place but are level on points with Newcastle, and two ahead of Chelsea. With a five-point gap opening up to Arsenal in third, it is a safe bet to say that one of Sunday’s competitors will miss out on the top four. Spurs fans will look to win their first piece of silverware since their League Cup triumph in 2008, where they beat Chelsea in the final. A couple of key matchups may well decide the outcome of what should be a close game. With Branislav Ivanovic suspended, the likes of Gareth Bale and Aaron Lennon will look to get at makeshift fullbacks and take advantage of possession down the flanks. Scott Parker and Frank Lampard will hope to be team-mates this summer at Euro 2012, but will go head-to-head in the battle to win possession and shield their back fours. Finally, second strikers Rafael van der Vaart and Juan Mata are the playmakers that can create chances that will ultimately win the match.